PANCHTHAR, Nov 9: Security concerns have increased in Panchthar district after a bomb was found with the elections just around the corner. The bomb was planted at Sanibare of Phidim, the district headquarters of Panchthar, according to Deputy Superintendent of Police (DSP) Bamdev Gautam. Luckily, no one was hurt as the incident was promptly reported and the bomb was soon diffused. A woman noticed a suspicious item rounded in tapes while returning from Phidim bazaar on Wednesday morning. She reported it immediately to the security personnel stationed at the bus park. Then a bomb disposal squad of Nepal Army (NA) from the Bhairavi Battalion safely defused the bomb before it could hurt anybody. Security personnel said the bomb looked powerful. The army took about an hour to defuse it. Prime Minister Sher Bahadur Deuba has scheduled a visit Phidim this Saturday. The bomb incident took place just a few days before Deuba's visit. “It is still not known who planted the bomb. Investigation is ongoing,” said Chief District Officer Laxmi Devi Humagain. 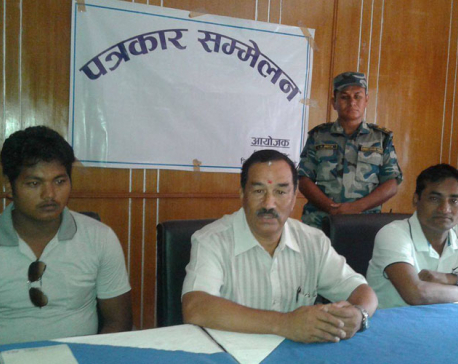 Meanwhile, police have suspected the involvement of Netra Bikram Chand-led Communist Party of Nepal. The incident has triggered fears throughout the district. The general public and stakeholders are concerned about the security especially when the important elections are just about two weeks away.